The Mahotella Queens is a South African female group formed in 1964 by music producer Rupert Bopape. 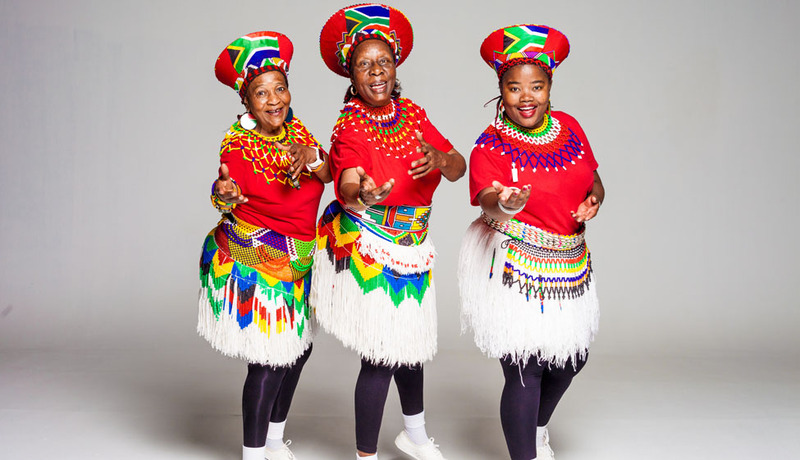 Originally a studio recording group consisting of around five or six singers, the current line-up of the Queens comprises Hilda Tloubatla, Nobesuthu Mbadu and Amanda Nkosi. The group is noted for their distinct vocal harmony sound, guitar-led mbaqanga music and fast-paced stage dancing. The Queens became hugely successful and influential on South Africa's popular music scene during the 1960s and early 1970s. The Queens appeared as part of Pee Wee Ellis's show Still Black, Still Proud: An African Tribute to James Brown during 2010. South African jazz artist Hugh Masekela joined forces with the Mahotella Queens for a special UK tour for November 2010. Their performance in London's Southbank Centre was completely sold out. In 2013, the Mahotella Queens took part in a competition to find the theme song for the MTN football tournament. They recorded a modern version of one of their most well-known hits, "Gazette/Kazet", accompanied by male singer Zamo and Kwaito star Brickz. In 2016 the group returned to mainstream success after being featured on rapper Cassper Nyovest's hit "Malome". The music produced by the combination of Mahlathini, the Mahotella Queens and the Makgona Tsohle Band developed heavily on the familiar mbaqanga sound, a type of jive music that fused traditional and modern elements together and played on electric instrumentation. Their take on this music evolved into a unique style referred to as 'mgqashiyo', featuring up-tempo female harmony combined with powerful male bass vocal. Mahlathini became well known in his own right as a groaner, the name given to male lead singers with particularly deep and 'groaning' vocals.